Lightness, safety and precision are crucial attributes in the world of naval aviation. The Avenger Bandit is a COSC-certified chronograph that lives in step with the take-offs and landings on the decks of aircraft carriers. 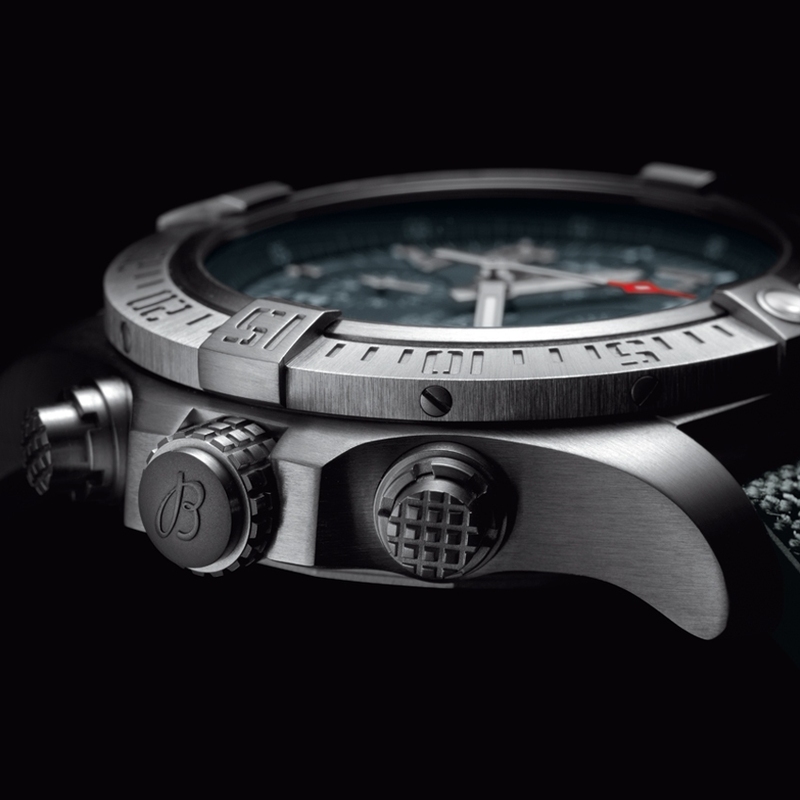 These “ocean fortresses” govern the demanding features that Breitling has incorporated into the Avenger Bandit. 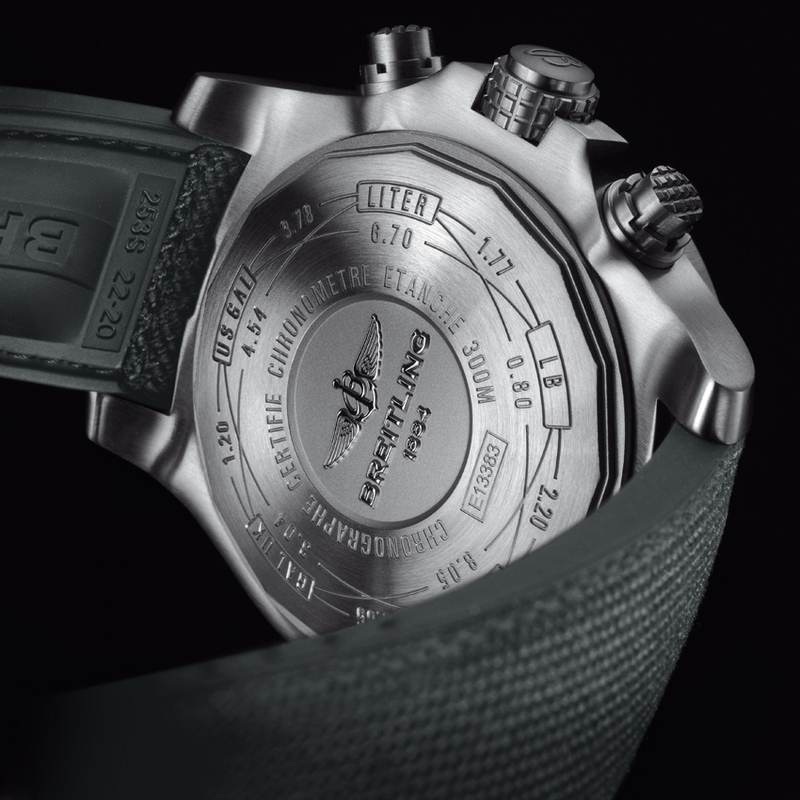 Its 45 mm case is lightened by the use of satin-brushed titanium, a favourite metal in the aeronautical industry. The graduated rotating bezel is topped by engraved stencil-type numerals and distinguished by its four rider tabs, a classic signature feature on Breitling watches serving to memorize times. The non-slip grip of the screw-lock crown and chronograph pushers guarantees optimal handling. 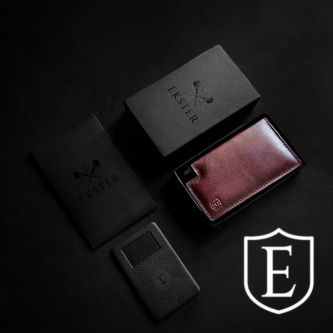 The strap is made of rubber topped by a supple, sturdy and light high-tech textile fibre exterior. These technical attributes make the Avenger Bandit an authentic instrument for professionals embodying a world of daunting feats and the most extreme missions. 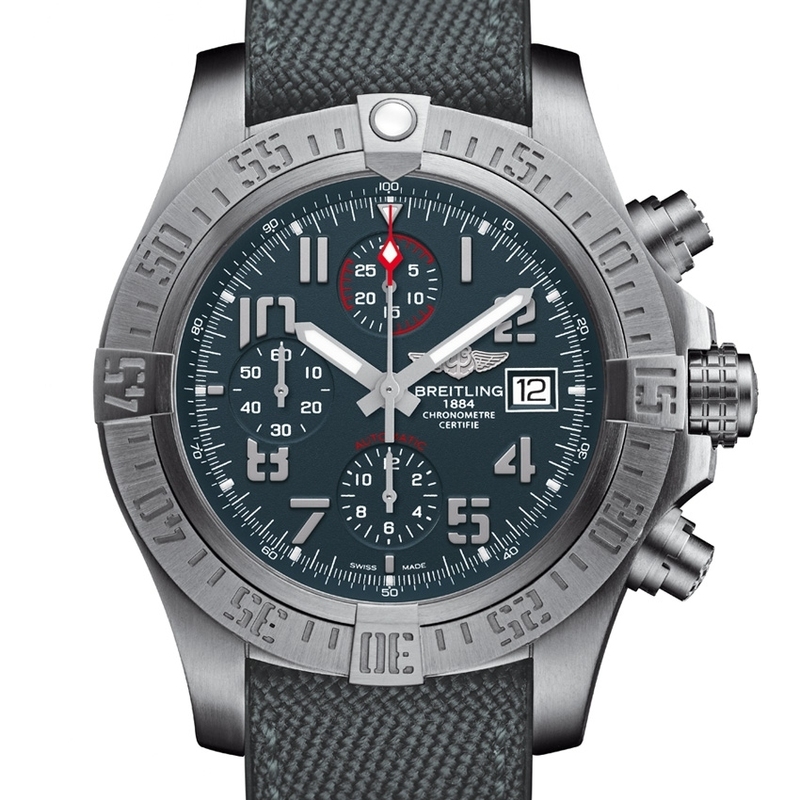 Mechanical automatic, Breitling Calibre 13, chronometer-certified by the COSC, 25 jewels, 28,800 vib/h. Hours, minutes, seconds, date, chronograph, 30-minute and 12-hour counters. Titanium, 45 mm. Sapphire crystal with anti-reflective coating on both sides. Screw-lock crown. Unidirectional ratcheted rotating bezel. Water-resistant to 300 metres (30 bar/1,000 ft).